I was a sophomore in high school when I knew I wanted to go into business. At that time, Sarbanes-Oxley was introduced and it seemed there were a plethora of accounting opportunities that could lead to well-paying jobs. I decided to go to one of the best business schools that fit my qualifications for my bachelor degree endeavor: Penn State University. I was halfway through my time there when I went to “Consulting Night”, an evening where the big consulting firms sent young representatives to speak to Penn State business students about why they should consider a career in consulting. PriceWaterhouseCoopers, Deloitte, and Boston Consulting Group were all in attendance. They blew my mind with how much fun and interest could go along with the hard work that goes into consulting. Right then and there I decided to change my major from Accounting to Supply Chain and Information Systems. Several close friends and family members were hesitant to support me in this decision. They were unsure what Supply Chain was and what kind of career that could lead to. I may have been unsure myself, but I was entranced by all of my supply chain classes and the professors that educated me. My favorite class was Strategic Procurement with Professor Christopher Craighead. There was an excitement to finding out how to save companies money just by being more efficient or looking at total cost of a unit. I was astounded by the number of companies just looking at sales and marketing and new business, never taking into consideration how to reduce the costs they are already spending. After graduating I went back to Dresher, Pennsylvania and looked for any procurement job out there. I found myself a procurement assistant job where I was sourcing contractors to perform maintenance on exterior property of Walmart sites. I moved onto a procurement assistant job for a management company that was part of the landing gear prime vendor contract. I had a desire to gain more experience and hands on knowledge about supply chains so I became a planner and buyer for a helicopter assembly company. I am now an Analyst for a strategic sourcing firm - a role that has reinforced my passion for the industry. An analyst looks strictly at the data one can find and uses said data to form a conclusion. An analyst lets the data present itself to a client and shows real results. There are no wishful thinking situations. There is no “Let me tell you what I think and rush through any type of reason why”. 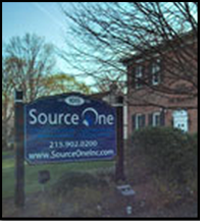 The best part of being an Analyst for Source One Management Service is the pride we have in our contingency model. We are willing to trust our system, our coworkers, and our expertise to produce hard-dollar savings – and get paid only on results. (We do have fixed fee and other cost models, though, to fit the needs of our clients). I hope this shows the passion that I have for savings. Looking at data and finding ways to save money, create efficiencies, and consolidate data to make processes and earnings easier for a company to achieve is an exciting life for me. I wish all companies luck with their own saving initiatives. I know first-hand that not every company has the personnel, the time, or the resources to look into all the opportunities there are to save money. A strategic sourcing firm is that additional resource that helps achieve the win-win scenario all are looking for.